Youm-e-Takbir (the day of greatness), sometimes spelled as Youm-e-Takbeer, is a Pakistani holiday celebrated on May 28 every year. It commemorates the anniversary of the country’s first nuclear tests that were conducted in 1998 near the city of Chagai, Balochistan. Since the partition of India in 1947, Pakistan and India have been in a state of conflict. After the crushing defeat in the Indo-Pakistani War of 1971, Prime Minister Zulfiqar Ali Bhutto ordered to launch the development of nuclear weapons. The work on nuclear weapons accelerated in 1974 as a result of India’s first successful nuclear bomb test code-named Smiling Buddha. India conducted the second series of nuclear bomb text explosions on May 11 and 13, 1998 (Operation Shakti). As a direct response to India’s nuclear tests, Pakistan performed its own nuclear test on May 28, 1998 (Chagai-I), followed by the second test on May 30 (Chagai-II). After these tests, Pakistan officially became the seventh state to possess nuclear weapons and the first in the Muslim world. Youm-e-Takbir was officially established by Prime Minister Nawaz Zharif. The name of the holiday can be translated as “the day of greatness” or “the day of Allah’s greatness”. 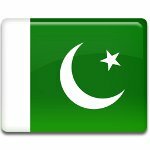 According to Zharif, Youm-e-Takbir is the day of greatness and pride for the Pakistani people and Muslims around the world. Celebratory events held on the occasion of Youm-e-Takbir include award ceremonies, flag hoisting, speeches, atomic energy exhibitions, military displays, and more.